Accelerometers are the quintessential motion sensor, from robotics to motion capture. 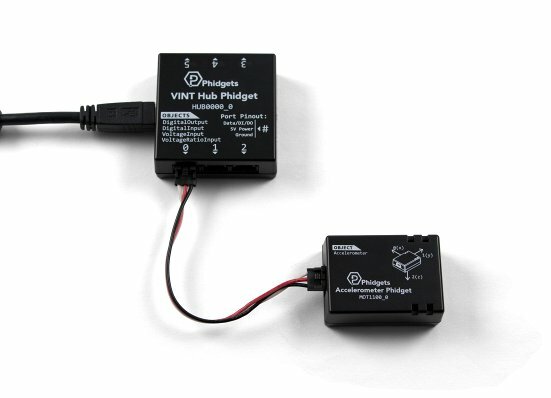 The Accelerometer Phidget measures up to ±8g (or 78.5 m/s²) in each axis, which is more than you'll ever produce in most ordinary applications. The MOT1100 connects to a port on a VINT Hub. See the Connection & Compatibility tab for a list of hubs. 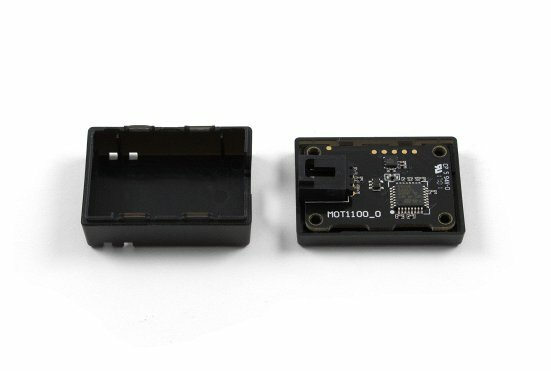 The most common use for an accelerometer is to measure the movement of an object, such as a person or robotic vehicle. You can compare the acceleration values on each axis to determine the direction and strength of the acceleration, and in some situations, even estimate velocity and position. An accelerometer could also be used to detect vibration. For example, mounted to a walking surface, it could be used to record the footsteps of a person walking or running. Another common way to use an accelerometer is as a tilt sensor. When mounted on a stationary object, an accelerometer will measure ≈1g downward (due to the earth's gravity). If the object is tilted, the angle of this 1g acceleration will change and this change can be measured. 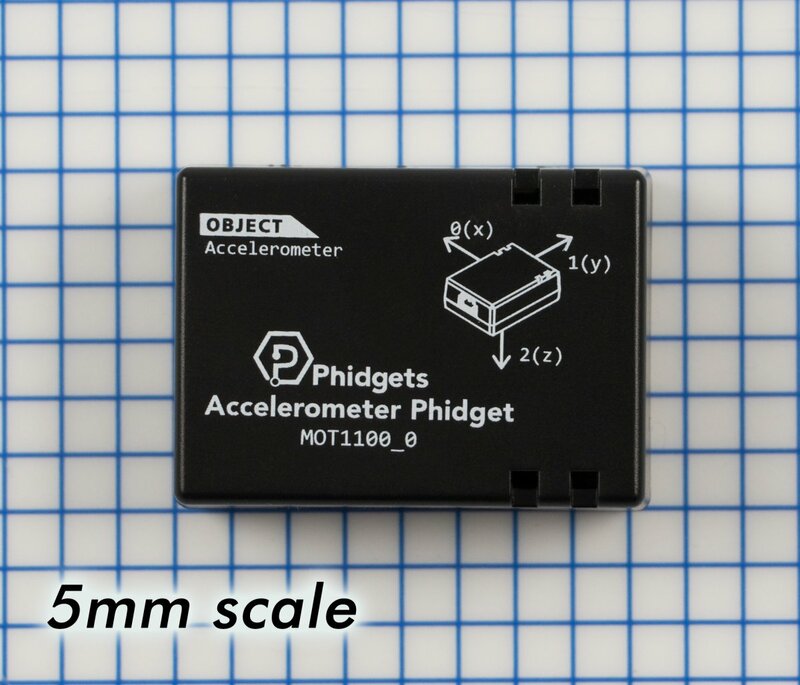 The Accelerometer Phidget works best in applications that care mostly about the direction and approximate strength of movement. 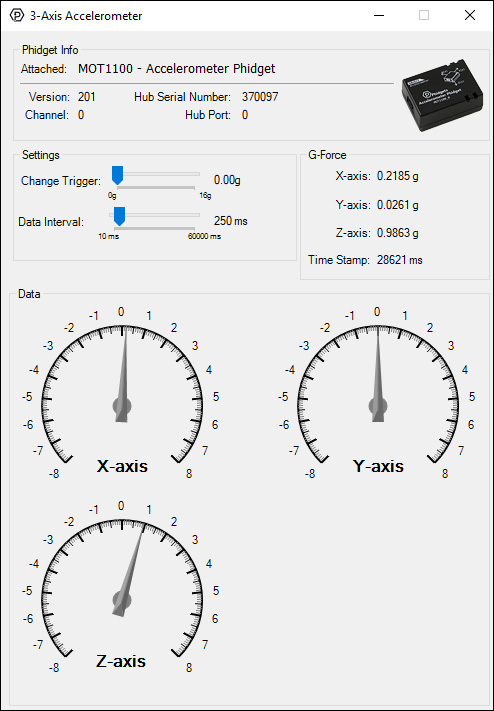 If you need more precise measurements, have a look at the Other Accelerometers tab for more appropriate options. Connect the MOT1100 to the VINT Hub using the Phidget cable. 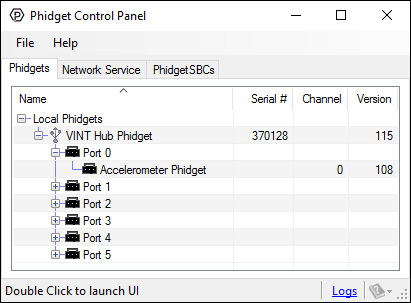 In order to demonstrate the functionality of the MOT1100, the Phidget Control Panel running on a Windows machine will be used. Linux users can follow the getting started with Linux guide and continue reading here for more information about the MOT1100. The measured values reported in g-force can be seen via labels as well as graphical dials. Try tilting the MOT1100 in different directions to see the labels and graphics change. 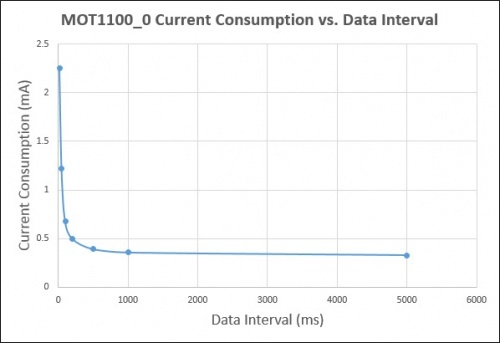 The current consumption of this device depends on what the data interval is set to. 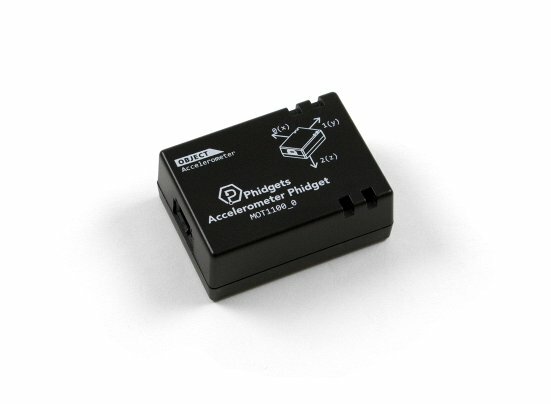 For more information on how to use an accelerometer, have a look at the Accelerometer Primer.